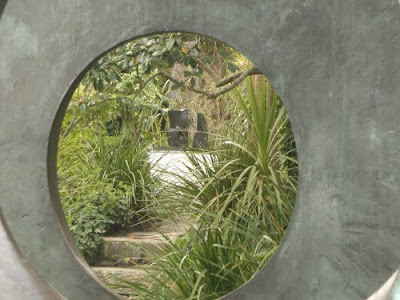 All photos taken at the Barbara Hepworth Museum and Sculpture Garden in St. Ives, Cornwall. 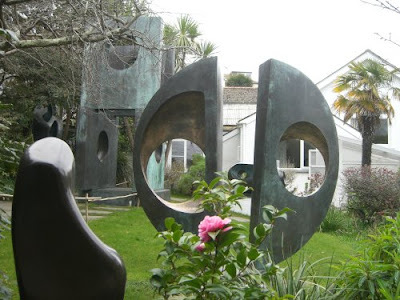 Dame Barbara Hepworth lived at Trewyn Studio from 1949 until her death in 1975 at the age of 72. 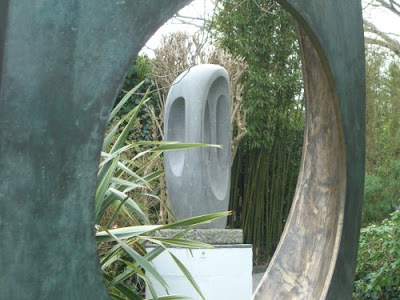 Barbara Hepworth had many musical connections. She designed the costumes and sets for the premiere of Michael Tippett's The Midsummer Marriage at Covent Garden in 1955. One of her sculptures stands in front of Britten's Snape Maltings concert hall and in 1969 she was invited to the first ever Ladies' Night at London's Royal Academy of Arts together with Elisabeth Lutyens. 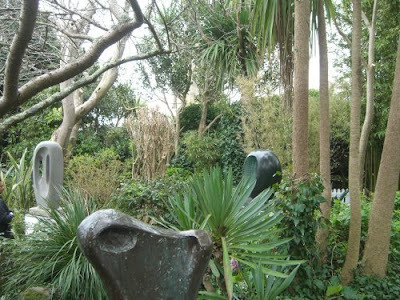 The composer Priaulx Rainier (who deserves an article to herself) was a close friend and helped her design the sculpture garden at Trewyn Studio seen in my photos. After hearing Rainier's music William Walton (a notable chauvinist) commented that Miss Rainier must have barbed-wire underwear. 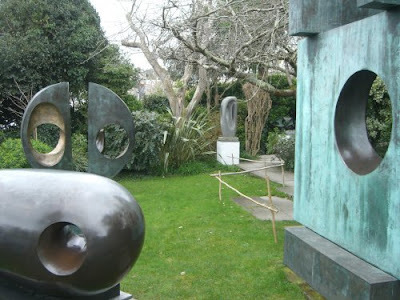 In 1953 Hepworth and Rainier organised a music festival in St Ives to which Tippett contributed a fanfare. The festival included madrigals sung from a boat in the harbour. In his autobiography Tippett recalls how the two ladies forgot to check the tides, during the performance the tide went out taking with it a boatful of inaudible singers. 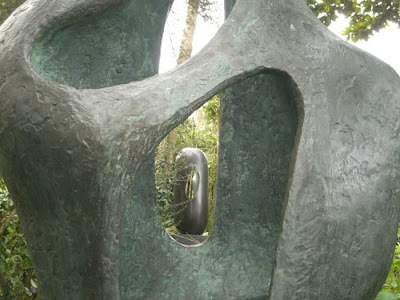 Barbara Hepworth married twice. Her first marriage was to the sculptor John Skeaping, her second marriage to the painter Ben Nicholson ended in divorce in 1951. After the Second World War Hepworth became a pacifist and joined CND and the Labour Party. The American artists Mark Rothko and Mark Tobey visited her in St Ives. She achieved international recognition and her 1964 tribute in sculpture to her friend UN Secretary General Dag Hammarskjöld stands in the United Nations Plaza in New York. Thanks for this post - it's fascinating and the pictures are wonderful!